Taco Bell is betting that China is going to love tacos and burritos. Yum! Brands (YUM), which owns the Mexican fast food chain, plans to open its first store in China by the end of this year, said CEO Greg Creed at an industry conference in the U.S. on Tuesday. Yum already operates over 7,000 restaurants in China, the majority of which are KFC and Pizza Hut outlets. For years, Yum Brands provided a shining example of what an American company could do in China, but the company has been plagued by a number of food safety scandals that damaged its reputation. Even with lackluster sales, and China's looming economic slowdown, Yum still continues to plow ahead with expansion plans. Last October, it announced it would spin off its China operations, instead running two distinct companies: Yum Brands and Yum China -- which will be headed by a predominantly Chinese leadership team. Creed described on Tuesday the new division as "a China company with Western roots." 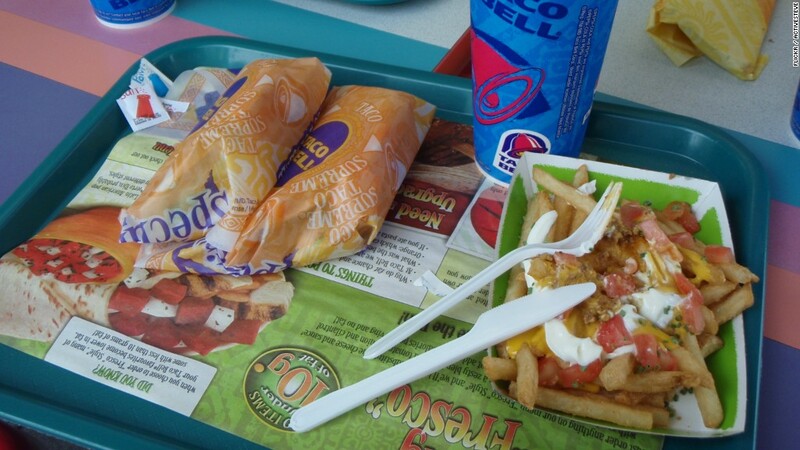 Launching Taco Bell in China is part of a wider initiative to make make all three "global iconic brands," Creed said. In 2014, Yum was found to be selling tainted meat at KFC locations. The company immediately cut ties with its supplier, Shanghai Husi, but the action seems to have given consumers little consolation, and sales in China never totally recovered. The fallout was immediate and intense. Worried consumers swore off Colonel Sanders' chicken, sales plummeted and Yum launched a frantic marketing campaign to convince the public that its food was safe. The company itself has acknowledged that its China revival was more difficult than anticipated. An earlier scandal hit the company in December 2012, when a powerful state media outlet accused local KFC suppliers of cramming extra antibiotics into their chickens. In that case, it took Yum the better part of a year to get back on solid footing in China.